Now in paperback from esteemed diplomat and former ambassador to both Syria and Israel—a captivating and illuminating book addressing the full scope of complex issues and critical challenges that U.S. leaders face in the Middle East. Djerejian, an American diplomat who served eight presidents, from John F. Kennedy to William Jefferson Clinton, asserts that Americans are facing one of the most important challenges of our time: the struggle between the forces of extremism and moderation in the Arab and Muslim world. In Danger and Opportunity, he publicly shares for the first time intimate details and colorful anecdotes of his service in the Middle East. Djerejian explains what has gone wrong with U.S. policy and suggests a way forward for future administrations. The United States must learn to deal with the various religious, ethnic, and cultural factors at play and must not impose its own political structure on the Arab and Muslim world. He maintains that we can help marginalize the radicals and champion a democratic way of life within the cultural context of the region’s own mainstream values and ideals. 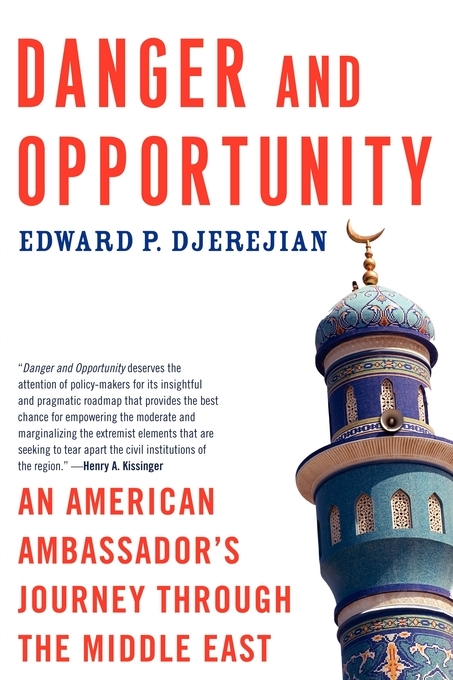 The only book of its kind to address the wide range of issues that U.S. leaders face in the Middle East, Djerejian outlines specific coherent strategies necessary to respond effectively to the imminent danger and dynamic opportunity presented by the unique struggle within the Islamic world. 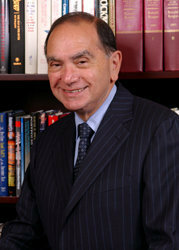 Ambassador Edward P. Djerejian began his lifelong career in foreign service in the Kennedy administration. He has served as the Assistant Secretary of State for Near East affairs in both the Bush and Clinton administrations and participated in both the 1985 and 1991 Geneva Summits. After retiring from the Foreign Service in 1994, he became the founding director of the James Baker Institute for Public Policy at Rice University, and he also chairs an advisory group on United States public diplomacy in the Arab and Muslim Worlds.